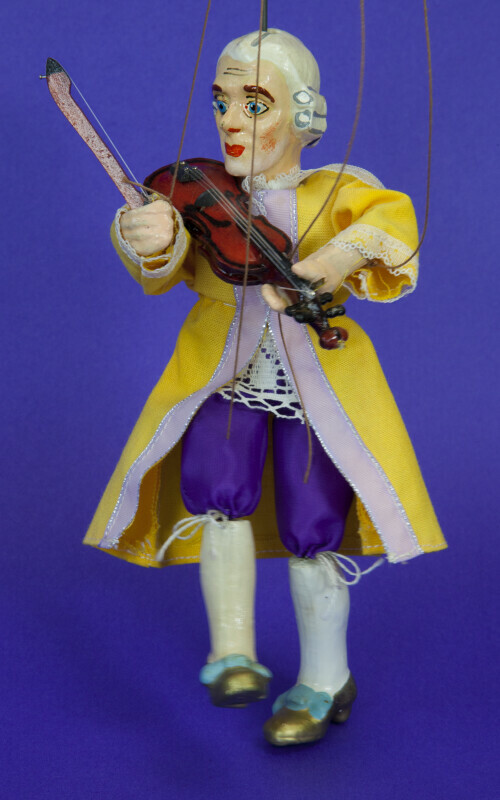 Photo of Mozart marionette with a violin on his shoulder. He is holding the bow in his right hand. The violin is handcrafted from wood and wire. Mozart is wearing a yellow silk coat and purple knee breeches. He has a wig on his head. This figure stands 8 inches (20 cm) tall.